Mobile phones came into our life seriously and for long time. Several times I caught myself in a bank queue I wouldn’t refuse from trying some new slot games on my cell phone. Yep, it is not so eye catching and interactive as we accustomed, but thus situated mobile casino is excellent idea. At least for low roller tries. Today we will talk about one of such casinos. Wild Jack Mobile Casino is opening our new section dedicated to mobile casinos for cell phones. And, of course, as usual, the main focus is on video slot machines. All new mobile casino players receive sign up bonus $600 FREE Welcome Bonus Pack. When this bonus is granted you should begin to play during 30 days after awarding. Otherwise it will be cancelled. So, if you’re 18+ years old, don’t linger and make the first 3 inputs at least $10 to grab 3 bonuses on top. WildJack Mobile Casino awards all newcomers with 100% up to $200 for the first 3 deposits you make. 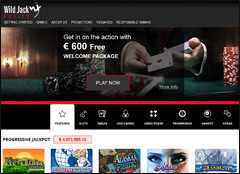 Besides, you can cash-out winnings straight away you complete 50x wagering requirement. In-spite of the fact that Wild Jack Mobile is the casino for cell phones, it also supports plenty of payment methods. I think everyone is able to find something suitable. To make any financial operation you have to sign in to Member Zone on web site of the casino or directly inside mobile casino application. Minimum withdrawal amount is $20. Time of withdrawal procession is 24 hours. If you make the first withdrawal in this casino you will be asked to provide personal details such as date of birth and postal address. If your account is less than 30 days and you made deposit with VISA, Solo or Delta cards, your withdrawal will be credited to the depositing card. If depositing method is MasterCard, withdrawal will be payed via regular check. To tell you the truth for me the number of available games are low. But availability of my favorite games such as Thunderstruck, Tomb Raider and Treasure Nile managed to compensate my sceptical attitude to this product. The graphics of these games are almost the same as on regular web (of course it depends on the mobile handset). The feelings during the gameplay on my Sony Ericsson K700i was… appropriate :-). I began to bet small stakes :-). It is really fun. For example great idea is to make a couple of spins during the wait in queue to the bank account manager. For those who also likes to play Blackjack it is good application as well. Graphics is bright, controls are easy to understand. Wild Jack Mobile Casino uses 128-bit SSL encryption as other online casinos to protect all personal data at your casino account. UK Freephoe Number 0800-4049643. It is free for all landlines, but can be paid service for cell phone networks. Non UK Call-Back Service: Go to the support section in the Casino Lobby or do the same via casino game on your mobile phone and click Callback, and Customer Support representative will call you back in 10 minutes. I didn’t contact support but it seems to me that something around 10 minutes of call back should be true. 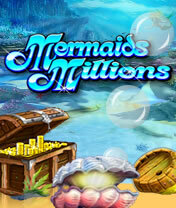 Today Wild Jack Mobile Casino doesn’t offer big variety of mobile casino games. It is rather frustrating point. But we should keep in mind that there is a process of porting games to cell phone devices and it is very-very time consuming. Spin3 and Microgaming bet on the list of supported devices, including Apple iPhone and Apple iPod Touch. Indeed it is really huge. Any player can get benefits from mobile casino playing. But I believe with time the number of games will be increased significantly. Wild Jack Mobile Casino is good addition to the regular web gameplay. It is worth trying especially if you have a lot of situations when you wouldn’t refuse to kill the time with fun and pleasure.